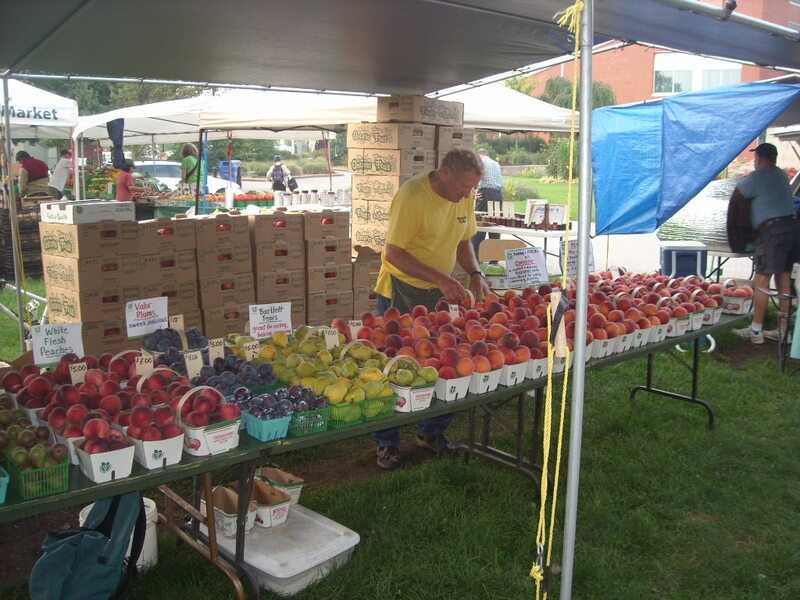 It was almost on a whim that we began selling our fruit at farmers’ markets 25 years ago. A small ad in a farm newsletter called for growers willing to sell their produce at a market to be held at Nathan Phillips Square in front of City Hall in downtown Toronto. We decided to try it. 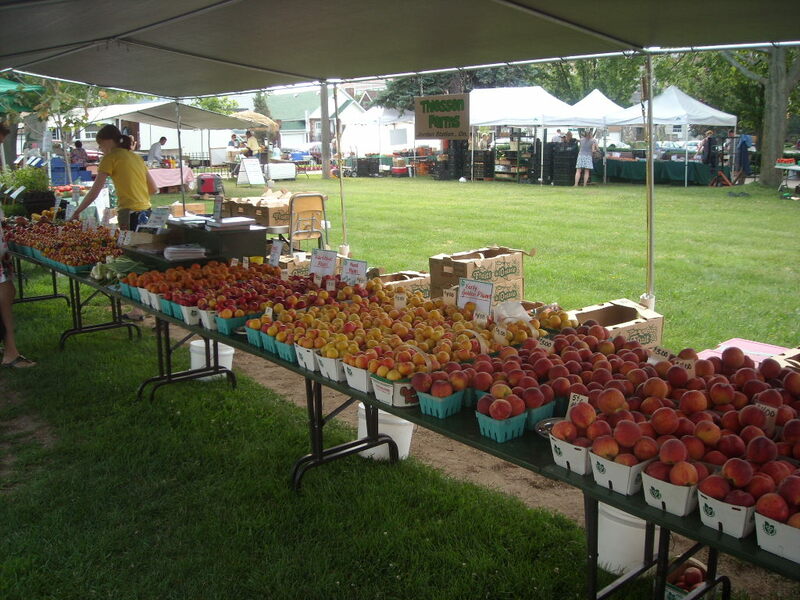 We knew nothing about farmers’ markets – all our fruit was sold wholesale. On that first day, for our first market, the first things we loaded into the truck – the important supplies we were sure to need – were folding lawn chairs & magazines to read. Our set up was an old, wooden peach packing table with a patio umbrella stuck in it for shelter from sun or rain. We guessed at how much fruit we might sell & what size containers to sell it in. But at the end of that first day our van was empty & our pockets were full. It was a lot of fun & we were hooked! 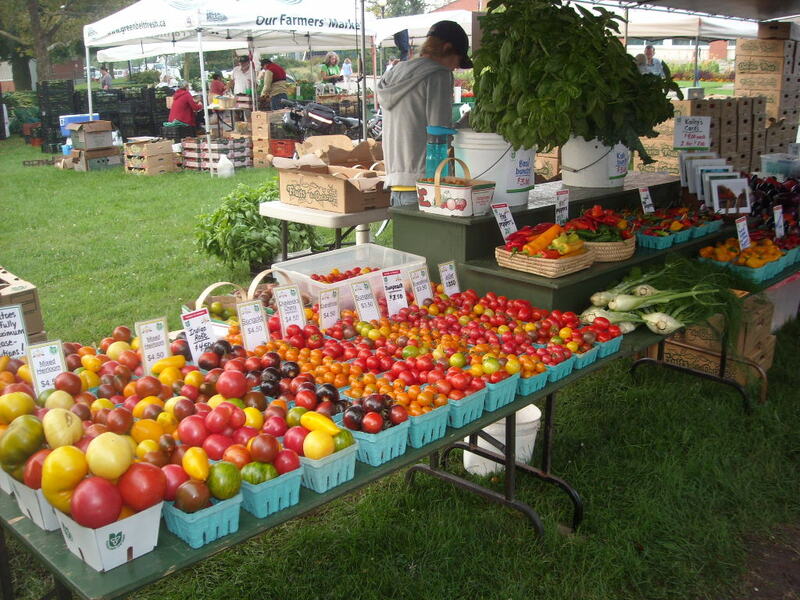 Fast forward 25 years … We now sell almost all of our fruit & vegetables at farmers’ markets. Our set has grown to 30 feet of tables protected with a large canopy. Thanks to careful records & many years of experience, we have a pretty good idea of how much fruit & vegetables to bring for any given market day. We are confident in our product, and in our abilities to sell it. But the goal remains the same – to come home with an empty van & full pockets (it doesn’t always happen). And market is still a lot of fun! 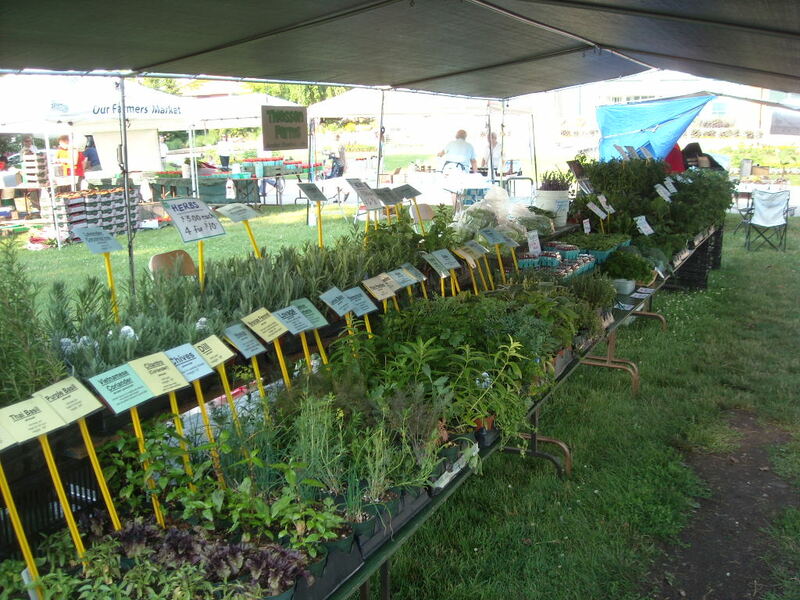 Throughout these years we have been vendors at 9 different markets. We attended our original market at Nathan Phillips Square for 18 years, others for more than 20, and some for only a year or two. Our heyday was the year we did 6 different markets each week. … until now. It’s time for a change! 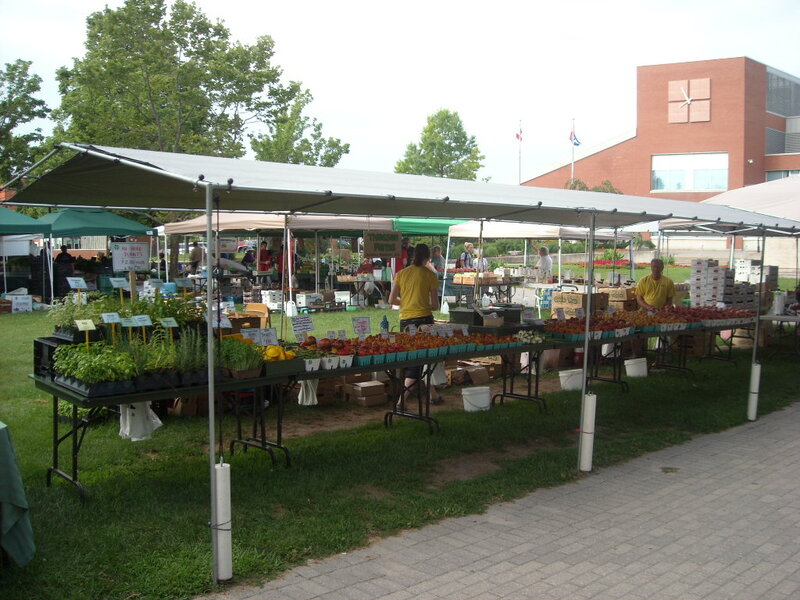 This season we will not be attending the East York Farmers’ Market. It’s been a difficult decision to come to, and one that we’ve discussed & struggled with over the winter. The reason for dropping a market is simple – we don’t think there will be enough fruit. This winter was harsh & indications are for a reduced crop. While we won’t know for sure what the crop size will be until blossom time, we have to make preparations in advance. We recall the season of 2012 when most of the blossoms were frozen during an early spring bloom & we struggled to have sufficient fruit to bring to all our markets. It was tiring & ended up making little sense financially. We choose not to repeat this. 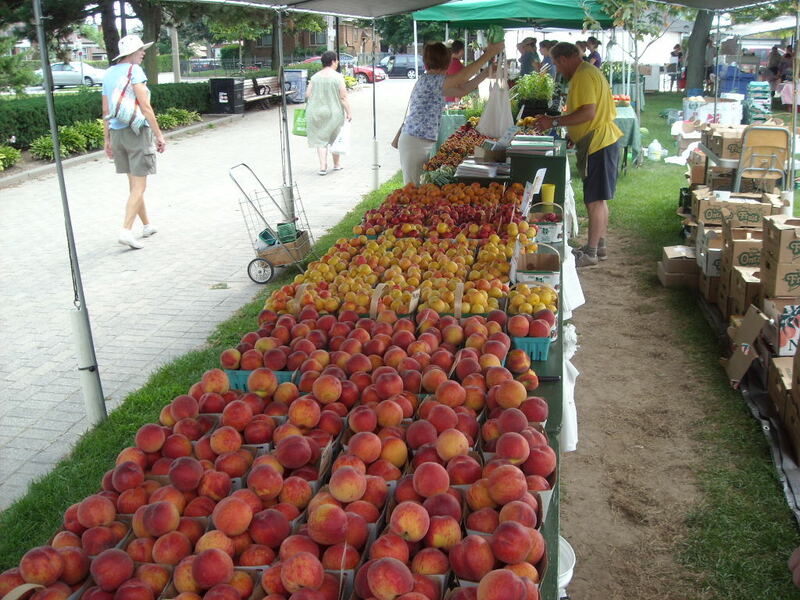 Plus, our CSA numbers have increased again this season and we need to have ample fruit for our members. 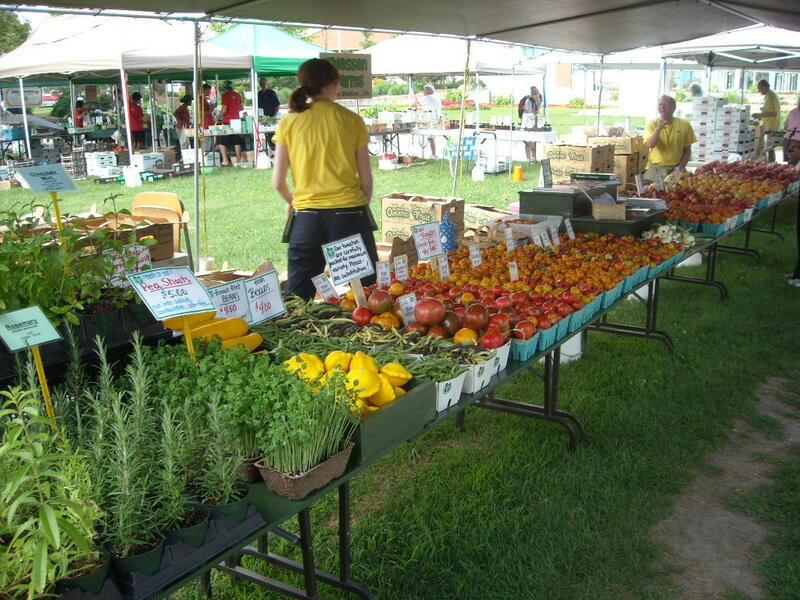 A goal we have been working toward, is to grow our CSA large enough that we can drop one of our Toronto markets. We have been hesitant to do this when the crops are plentiful. This season the decision has almost been made for us. The reason for dropping East York rather than another market is also simple – it will cause the least disruption to our picking/marketing schedule. As a bonus, it is also the worst of our markets to get to, or rather, to get home from. We find ourselves almost giddy with the prospect of avoiding the Tuesday afternoon drive on the Gardiner Expressway & QEW during rush-hour, especially with the added impact of continuing construction & the Pan Am Games this season. Neither will we miss the 3:30 AM alarm each Tuesday morning. What we will miss are our friends – both fellow vendors & customers – and after 15 years at East York there are many! We’re going to miss you East York! Amy & John (Lorie’s father) all set up & ready for customers. I was outside today examining the buds on our lone apple trees and thought of you. I thoroughly enjoy your posts. Thank you! This is very, very, sad news. Ron and Amy you will be missed! We will still need damsons for the plum torte. See you in North York. I am going to miss our annual fall visit. Maybe have to work NY this fall. Good luck and good growing this season!